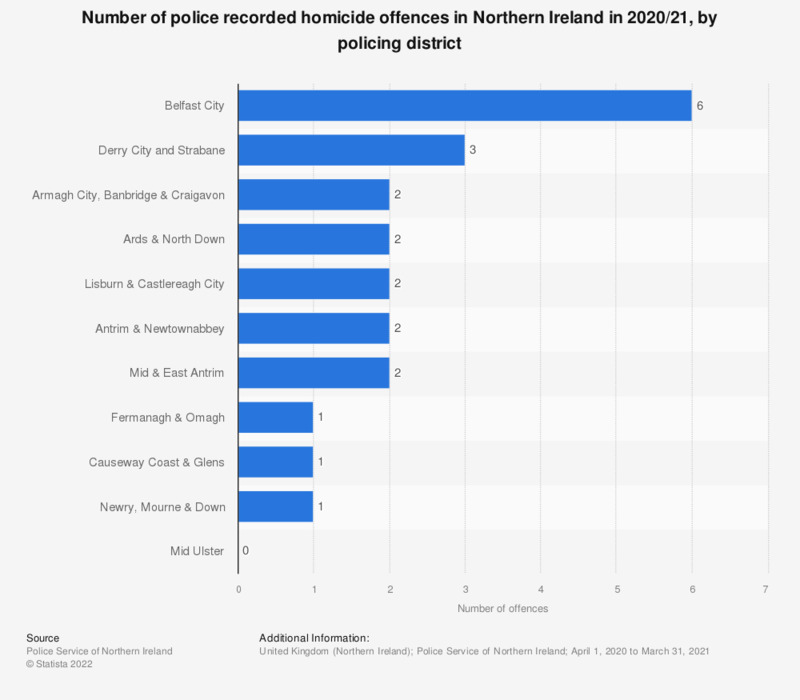 This statistic shows the share of respondents who had been a victim of crime in the twelve months preceding the survey in Northern Ireland from 2006/2007 to 2015/2016. Despite fluctuations, there was a net decrease of 5.3 percentage points over this ten year period. The peak of criminal offences was reported in 2009/2010, with 14.3 percent of respondents victimized. 2014/2015 marked the time period with the lowest share of victimized individuals at 8.8 percent. For information on the share of individuals having suffered from violent criminal offences in Northern Ireland, click here. *Respondents were asked to give details of crimes that happened in the 12 calendar months prior to interview.